Description: Are you living in a way that makes a difference in the world? Jesus taught us how to enter into a life of holiness so that we could receive the full love of God and give it to others. 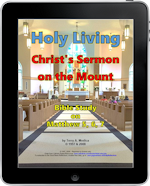 All of his teachings are summed up in one place: The Sermon on the Mount. 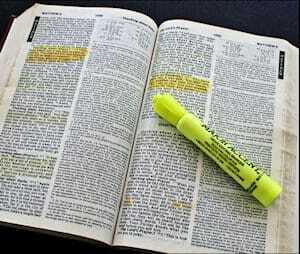 Here’s an easy and engaging Bible Study to make this relevant to your daily life. The author, Terry Modica, has presented this topic live to parishes. It’s offered here as a 17-week Bible Study program (PDF format) designed for Small Christian Communities and Bible Study groups; individuals will enjoy it too. Each session includes questions that can be used for private reflection or group discussion. Printer-ready, the margins have room for hole-punching to store in 3-ring binders. Sit at the feet of Jesus and take this invaluable “seminar” with him! Transform your life to become an evangelizer by more completely living and giving the love of God. Ideas for use: Bible study groups, Small Christian Communities, parish staff, etc.